Replace jQuery module in curriculum? 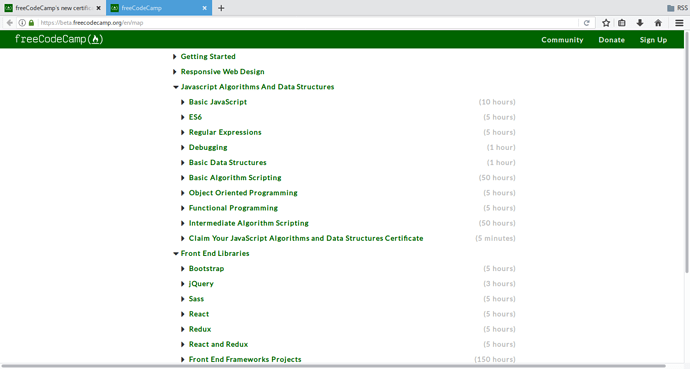 I was recommending Free Code Camp today on another forum and had a small pause before doing so as jQuery is a module in the curriculum. I don’t hate jQuery - I credit it with bringing JS to where it is today (ES6 & browser homogeneity). It’s just that the only time I use jQuery in work is to support legacy apps, although PHP devs in work use it still to build interfaces for admin side apps. So what do you all think? Replace the jQuery module with something else? I suggest good old vanilla JS with an ES6 focus, using MDN as a reference. I’m also happy to contribute in the development of this both in coding and curriculum material. My personal viewpoint is that JS is in a much better place now than when jQuery came on the scene. I feel jQuery is a little redundant at this stage and just adds one more thing for students to learn. I’m trying to think back to when I first started learning JS. I remember wanting to go the vanilla route but being terribly confused by MDN. At the time I liked some of the syntax of jQuery. It’d be great to hear from people starting out to hear what they think of the whole thing. What drew me to Free Code Camp was the clear path it offered to learning practical development with JS. I’m just not sure if jQuery is still a part of that path now. Yeah, it is the most popular JS library there is, as pointed out with more than 70% of sites using it. I know it’s trendy and cool for people to say they hate JQuery and not use it. It seems the more popular something becomes, the more people will histrionicly say they hate it. I would agree that people should learn to use vanilla JS too, but JQ is a nice way to simplify a few things and that’s especially helpful for beginners. Personally, I don’t see the big brouhaha about jQuery. I guess in the end, it’s up to the end client if they specified in contract to the web developers no jQuery for use in their website. In reality, the end client couldn’t care less if you used jQuery or not. All they care about is does it work, does it look beautiful, works beautiful, inexpensive – or will it took too long to develop, expensive paying for extra developer hours, buggy on some browsers. I don’t see it’s usage going down.